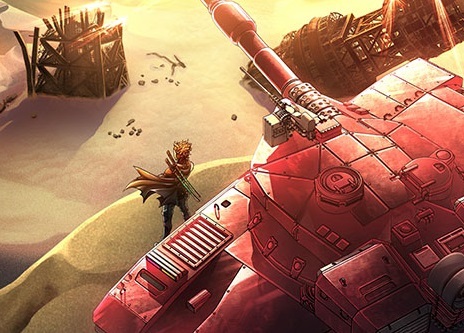 Home > PlayStation 4 > NISA is localising a crazy tank game! NISA is localising a crazy tank game! This is something of a surprise delight; it's what World of Tanks might be if it were an anime RPG thing. NISA has announced that it will be localising Metal Max Xeno for PlayStation 4 this Fall (Spring for Aussies). Style Your Tanks – Salvage new tanks, and upgrade them using over 500 parts! Customize your tanks with a fresh coat of paint and the strongest firepower you can find. Fight for Humanity – Explore the vast desert and unite with the remaining survivors to rise against the crazed machines. Hold Your Ground – Enemies lurk around every corner! Make a preemptive strike on your foes when they appear on the World Map from inside your tank, or disembark and explore dangerous strongholds on foot with your allies. With a stylish apocalyptic setting, and the most delightfully colourful tanks, this game could be a bit of a sleeper hit. And, yes, in Japan there's a PlayStation Vita version, and in the west there won't be. Disappointing, because games are always more enjoyable portable, but the reality is that there just isn't much money to be made from that platform any longer.